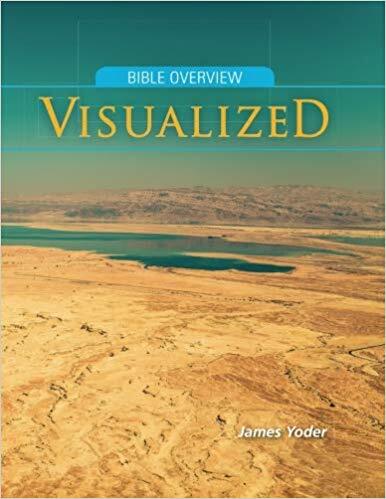 Several years ago, I became aware of a helpful visual resource that covered the entire Bible by James Yoder. 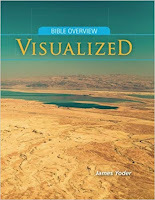 James has now improved and revised his work in a new volume entitled, Bible Overview Visualized. Here is the book's description. Bible Overview Visualized is an easy-to-comprehend resource tool that can help anyone see and understand the Bible in its entirety. It relies heavily on graphics to assist the reader to see not only every chapter of the Bible, but also how each book fits within the context of the Bible where it is located. Additionally, the story of the Bible is presented to help the reader understand the what, the why and the how of Scripture. This volume is even better than the original and I would encourage you to give it a look. You can check it out or order it from Amazon here.